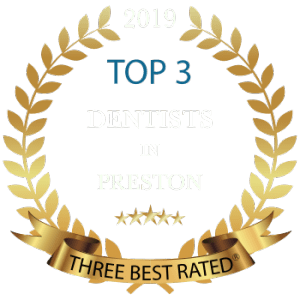 Cosmetic Dental bonding is a gentle and pain free procedure where a composite resin is applied to one or more teeth that have become discoloured or damaged. The tooth-coloured resin blends in simultaneously with the rest of the smile. 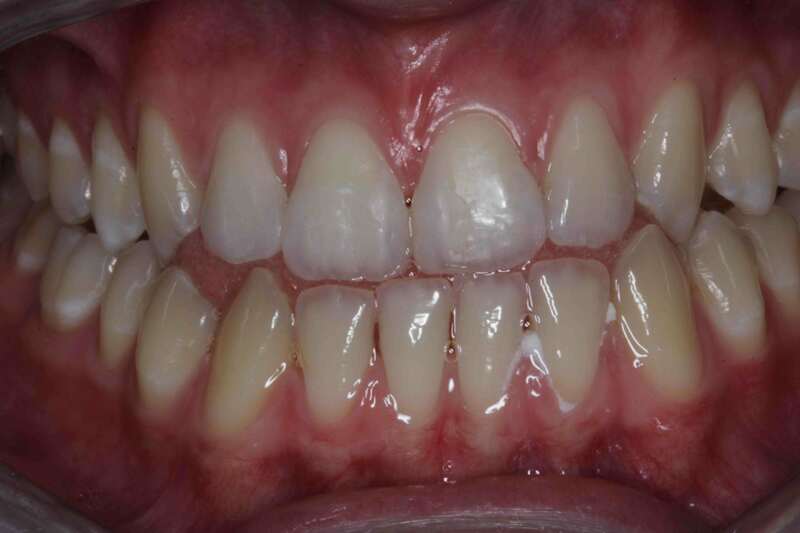 Teeth Bonding is an alternative to veneers and can be used as a restorative procedure for teeth that are chipped, cracked, discoloured or misarranged. 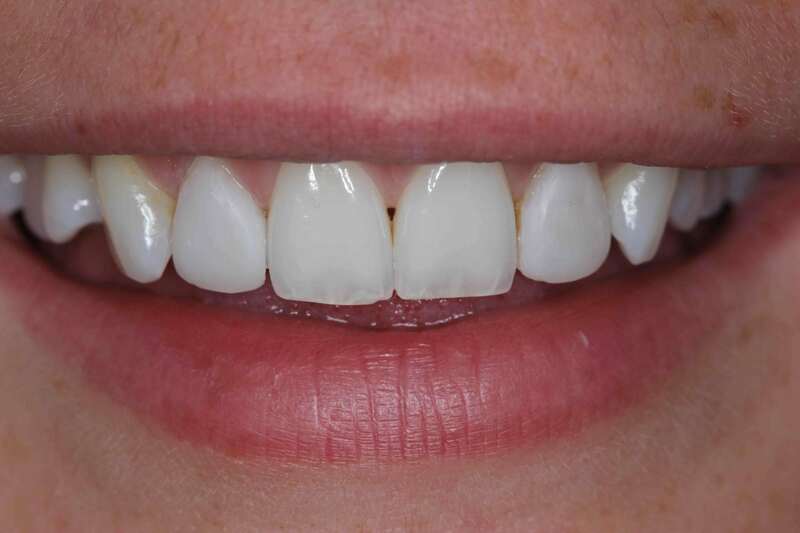 Like porcelain veneers, dental bonding is an effective way to address many common cosmetic dental problems. 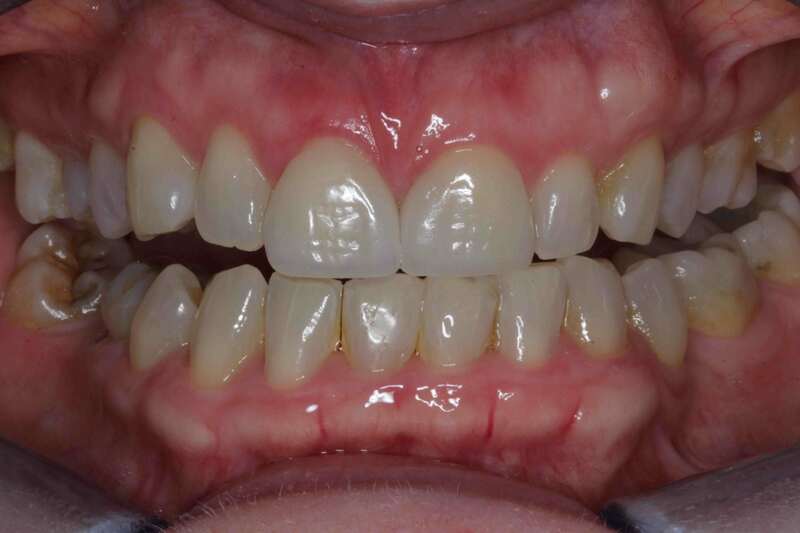 Porcelain veneers require the removal of some tooth enamel, a prospect that is not appealing to all of our patients. 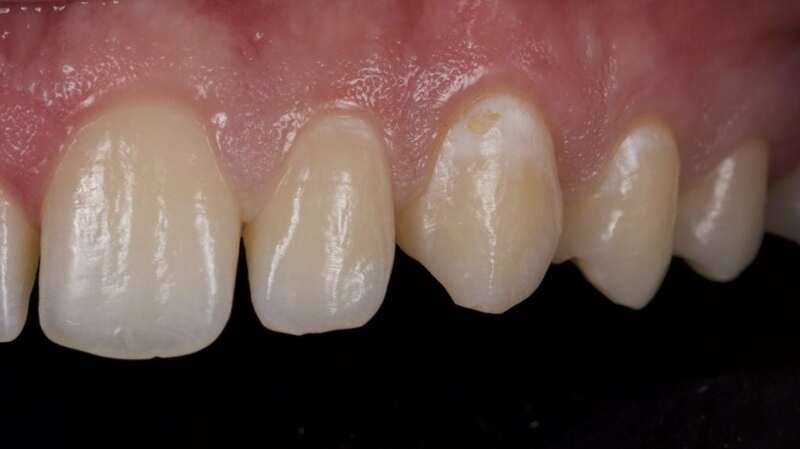 While dental bonding cannot produce the same aesthetic results as veneers, it is less invasive and may be better suited to meet your particular concerns. 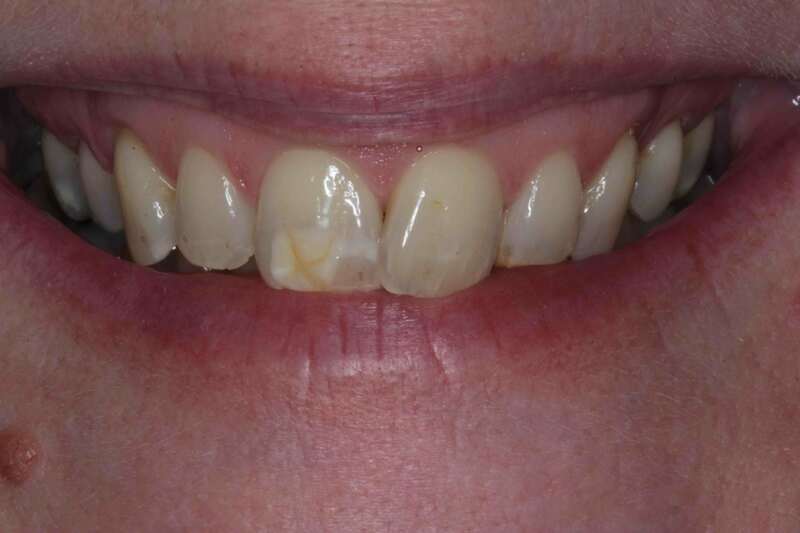 Dental Bonding Before After Problem: Severely discoloured front upper teeth with uneven gum line , overlapping and white patches. 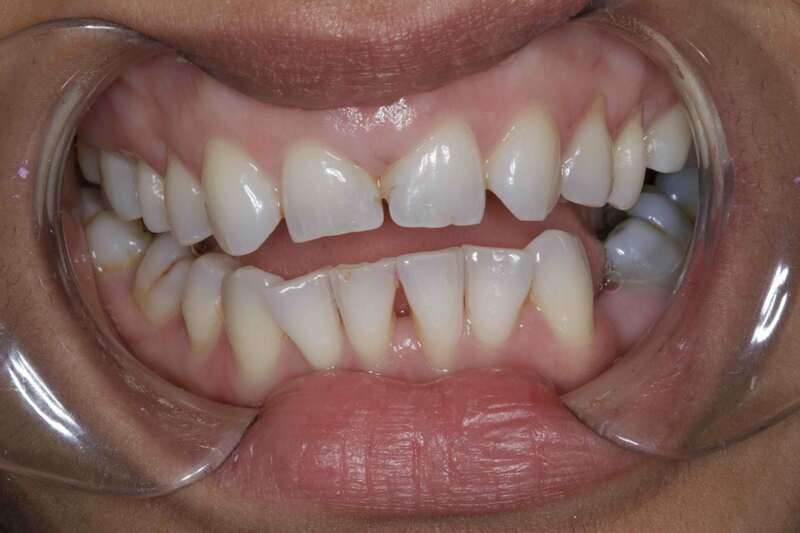 Solution: Cosmetic dental bonding to correct the shape and shade of the front teeth and artistic re-contouring to create symmetry in the smile. 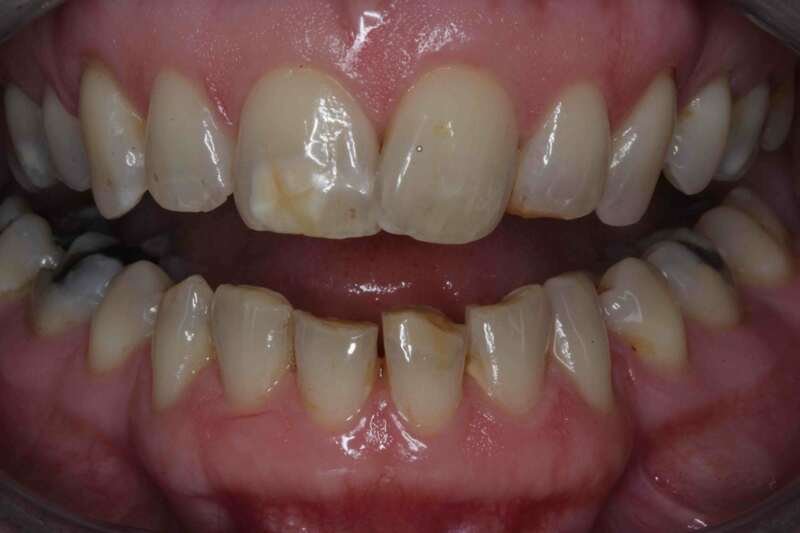 Dental Bonding Before After Problem: Demineralisation and white patches on upper left canine and premolars. 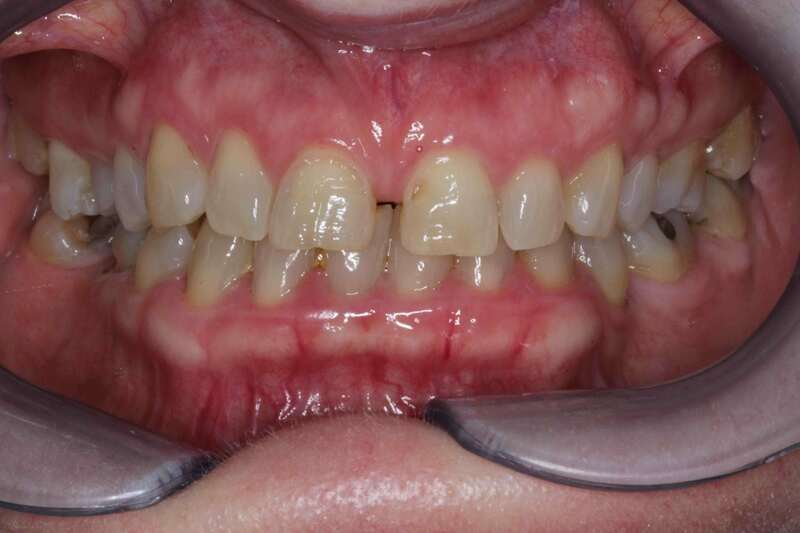 Solution: Teeth Bonding to mask the white patches and create harmonious shade to blend in with the neighbouring teeth. 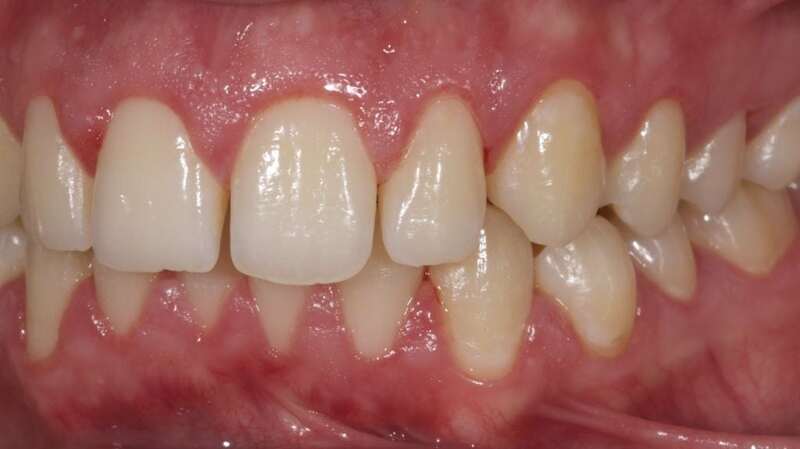 Solution: Bonding on 6 upper teeth to disguise the missing laterals , correct the proportions of the teeth and to create a harmonious smile. 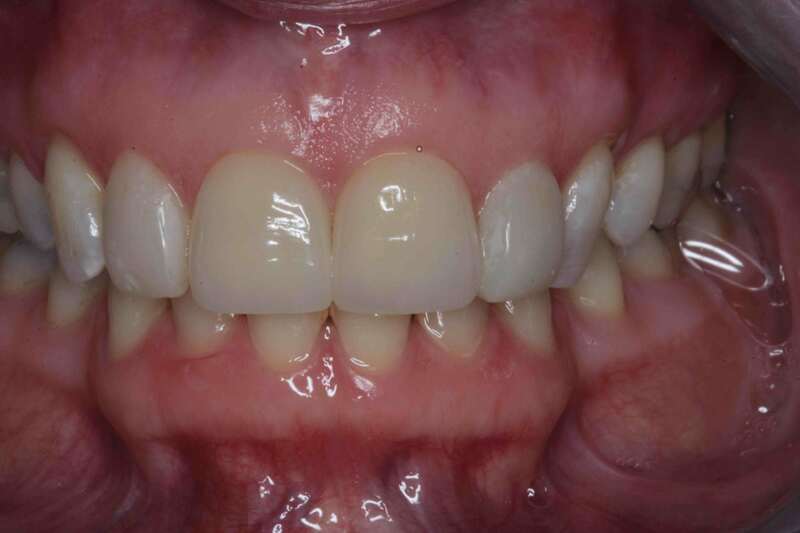 Problem: Large space between upper 4 front teeth. 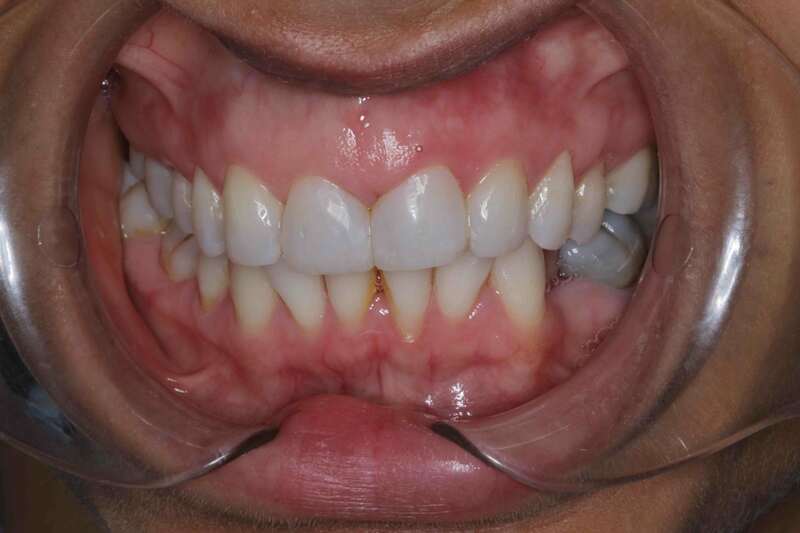 Solution: Bonding to close gaps and spaces in teeth, creating a beautiful, natural-looking smile, as desired by patient. 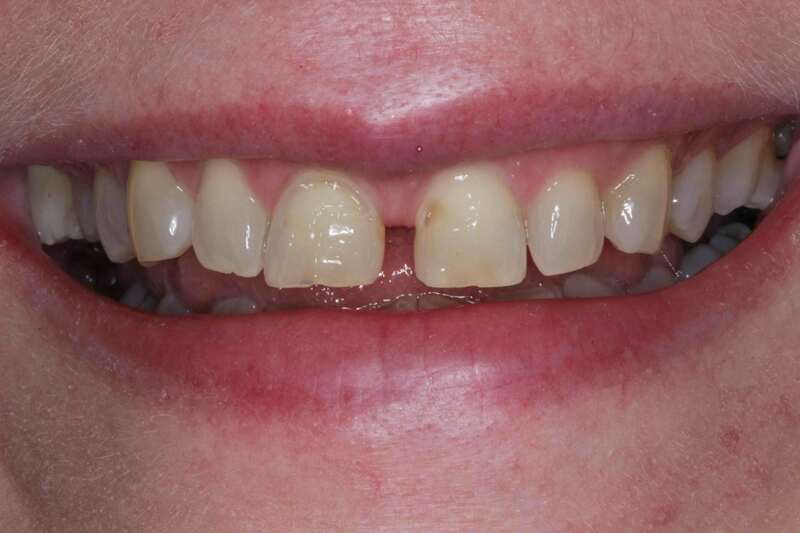 Teeth Bonding Before After Problem: Misshapen , chipped and discoloured upper laterals ( Developmental defect). 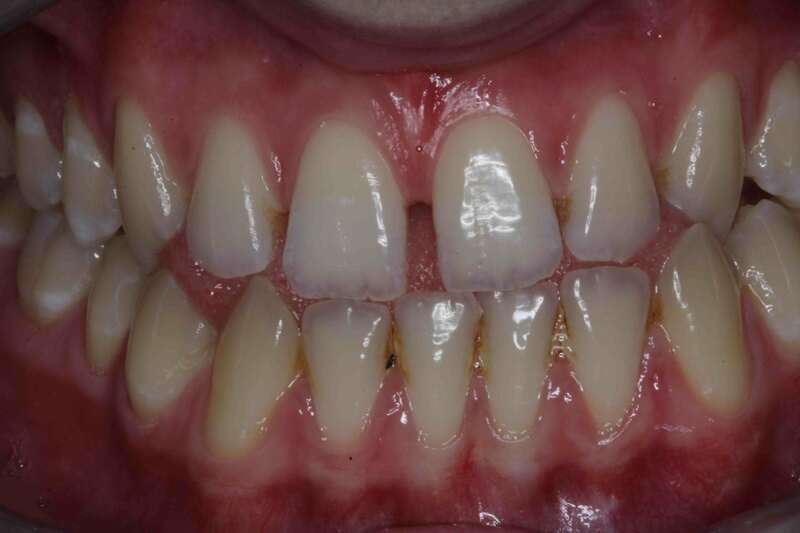 Solution: Artistic Bonding with multiple shades on upper lateral incisors to correct their shape, shade and size, creating a harmonious, natural-looking smile. 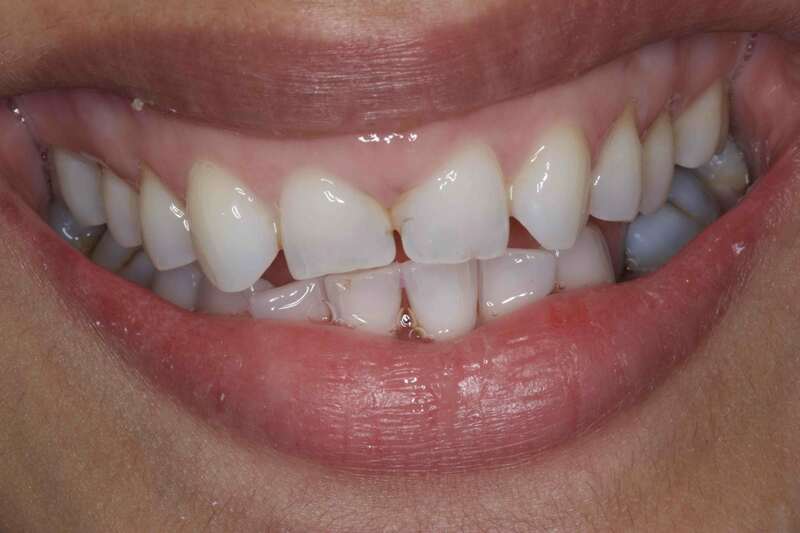 Cosmetic Dental Bonding Before After Problem: Severely eroded Front Teeth , Misshapen , chipped and discoloured. 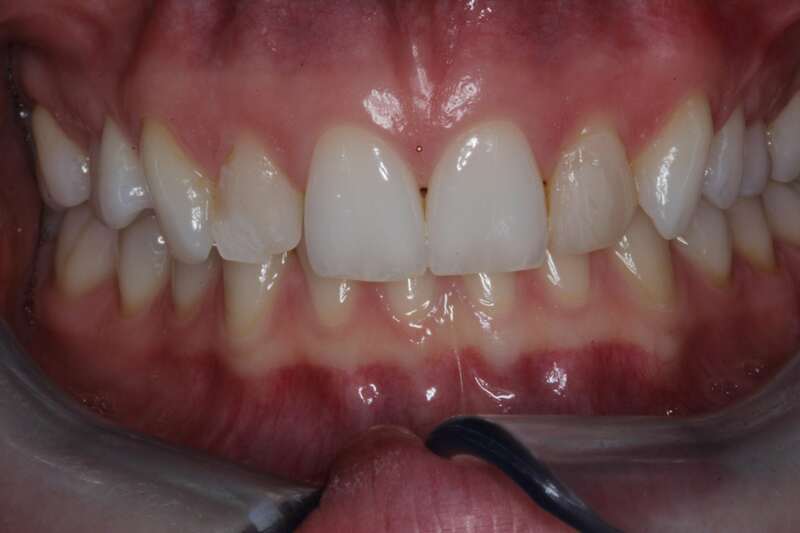 Solution: Artistic Bonding with multiple shades on upper central incisors to correct their shape, shade and size, creating a harmonious, natural-looking smile.